Oklahoma City Thunder star Russell Westbrook made NBA history on Monday. 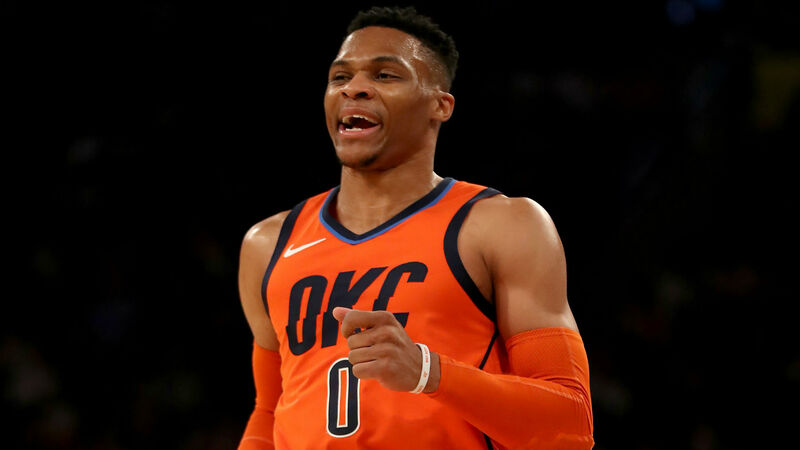 Westbrook recorded his 10th consecutive triple-double in Oklahoma City's 120-111 win over the Portland Trail Blazers. He tallied 21 points, 14 rebounds and 11 assists in the winning effort. He trailed only Paul George, who scored a team-high 47 points. The eight-time All-Star passed Wilt Chamberlain, who held the previous record with nine straight triple-doubles in 1968. He has averaged a triple-double in his last two seasons, as well. Oscar Robertson is the only other player in league history to have averaged a triple-double throughout a season.